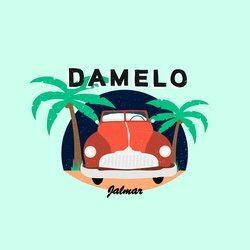 Melbourne based Hip-Hop artist Jalmar is back with his new single Damelo, a Latin-Trap infused banger that is set to make waves, available January 25th. This is Jalmar’s first effort for the year which is bound to be big after gaining industry recognition in 2018. His latest single 'Mi Paciencia' saw glowing reviews from the likes of Triple J host Erica Mallet on his unearthed profile, as well as Triple J plays and support from other well-known community radio stations such as Joy FM.